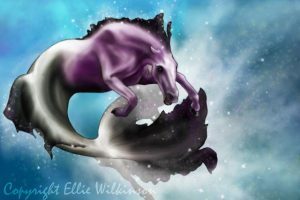 Growing up in the Ribble Valley, local artist Ellie Wilkinson has long been inspired by mythology and legends. 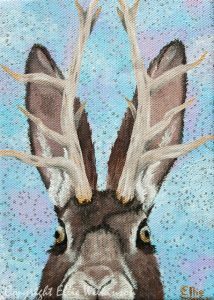 Living in the shadow of Pendle Hill inspired her to paint mythology and folklore from both the Ribble Valley and further afield. 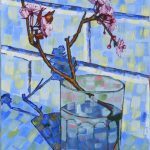 Taught to paint in acrylics at a young age, she has recently diversified into digital artworks, enjoying the challenge of learning a new medium. 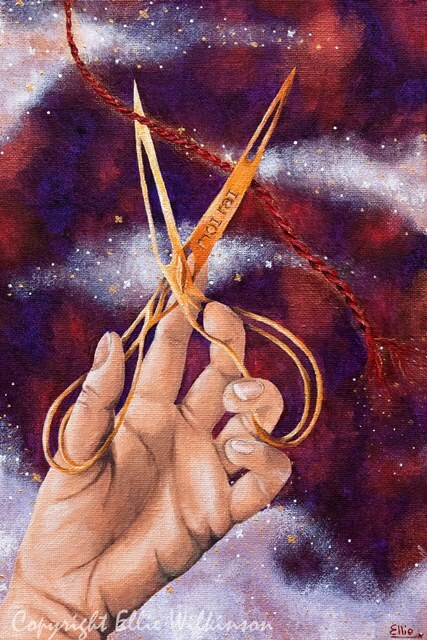 The more untraditional the subject matter, the better – Ellie finds painting obscure mythology an engaging venture due to the lack of references. 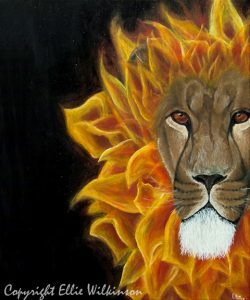 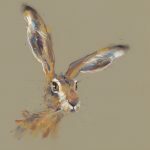 Whilst the original paintings are on canvas and finished with metallic paint to bring life to the subject, Ellie’s work is primarily available as limited edition fine art Giclee prints.